WHERE: The Commons, 91 Main Arm Rd, Mullumbimby, Byron Shire. I highly recommend Jenni Cargill-Strong for her experience as an engaging storyteller, for her skill at facilitating workshops, and for her eye on successful outcomes. Again, thank you for holding the space for the workshop. I enjoyed it very much and the experiences were new, fun, integrating and I learned practical ways to move forward with writing. The connections made in the break-outs felt very collaborative, and witnessing the beauty of each person was deeply nourishing. Precious time together. I really like what you are doing, the passion, commitment, and style you bring to it. The workshop was excellent value, and your presence was so strong, loving, compassionate and caring. And the range of books – wow. Thank you, dear sister. You led the workshop with consummate artistry and skill. I greatly enjoyed myself… You were very spontaneous and went with what the group wanted. I also loved playing ‘Mr Wolf’, which I haven’t played since I was six years old! Have you longed to learn more about the power of stories? Would you like to learn how to use stories to bring healing and transformation? 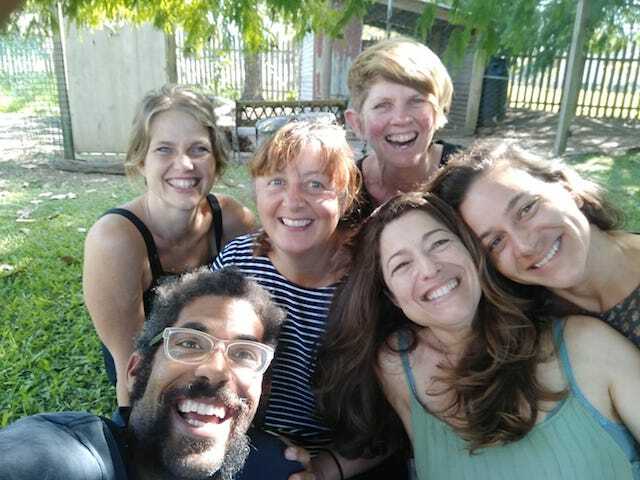 You may be an educator, therapist, healer, activist, change-maker, parent, community worker, creative or writer wanting to boost your ability to build community, educate and/or catalyze change. In the ancient tales of ‘The 1001 Arabian Nights’, brave Scheherazade spins 1001 therapeutic stories for her cruel and murderous King and thus heals and redeems him. Stories can also heal and redeem a culture. Learn the theory of storytelling for changemakers: why we are wired for story, why storytelling is a powerful tool for change and how to reframe and reshape our cultural myths. Then be guided to practice simple storytelling skills in pairs and small groups. 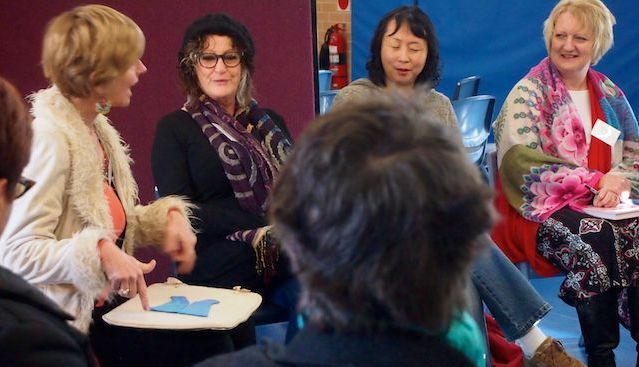 I presented part of this workshop at NewKind Festival in Tasmania in February, a conference for activists and changemakers. Below you can read testimonials from participants. PLEASE join me, as we sink deeply and luxuriously into story for changemaking. * The Overton Window is the frame within which it is possible to discuss ideas without being labeled as an extremist by mainstream culture. **Also the name of a book by Charles Eisenstein. Since the workshop my understanding about using story to spark people’s interest, and even shift their perspective has strengthened and grown. Jenni’s encouraging way of teaching allowed us to transform our own stories. If we are to create the change needed to protect our natural world, connecting with one another through story is the only way we will do it. Just wanted to say thanks so much for the workshop on Saturday. I really enjoyed it. You are such a good and natural facilitator who knows your content so well because you live it. Thanks for creating such a lovely atmosphere and sparking many interesting insights and learnings for me. In August 2017, I participated in a storytelling workshop facilitated by Jenni Cargill-Strong. The event was both insightful and inspiring and gave me the confidence to experiment with new ways to share information and encourage participation in Landcare. In October 2017 I was selected as a speaker at the NSW Landcare Conference in Albury. I mustered the courage to apply my newfound storytelling skills and methodology through my delivery. The presentation was extremely successful with multiple people approaching me afterward commenting on the presentation style as engaging and refreshing. Thanks to Jenni I have now found my style and my confidence to present to large audiences and trust that my stories will embed in peoples memory. GROUP SIZE is capped at 12.